Just a quick hello and here to share a few photos we took when I got back to The Kei Islands in South East Indonesia last month. If you are a regular reader of this blog, you might know that my fiance Emiel and I visited The Kei Islands multiple times and even lived here for four months last year. I have also mentioned before that we in are in the process of starting up a few projects here. You can read more about that here. I couldn’t help and stop by Rainbow Village in the city of Tual, strike off a tourist pose and show off these multiple colored Balinese sandals that totally match the scenery. It looked like they were made for each other right? We went shopping for pearls in the city of Tual and on our way back we crossed the bridge and I just had to take a few shots of this colorful scenery. It took us a little bit of climbing to get down to this spot to take these photos. This view is from the largest bridge in Tual City and we had to get underneath the bridge. While climbing, I was secretly cursing myself for not wearing a pair of sneakers. Comfort wins over anything in moments like these. 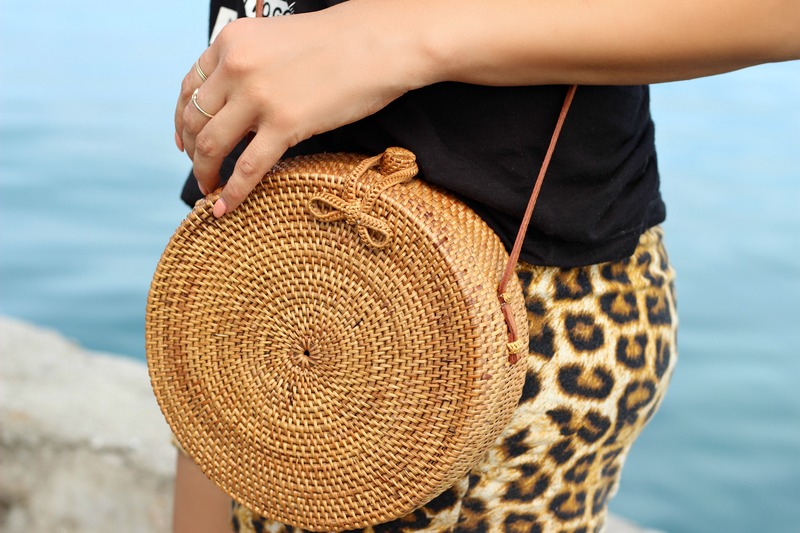 About my outfit, a trendy printed mini skirt, a pair of Balinese sandals that I own in literally every color, a flowy tee and rattan Bali bag has been my daily uniform while strolling the islands. The extreme heat is keeping me from wearing my hair down and I opt for a high ponytail to keep that neck cool. Sticky frizzy hair is the last thing we want to worry about right? The view is so cool, right? How pretty are these multi-colored houses? Just gotta love the creativity of the people who created it. 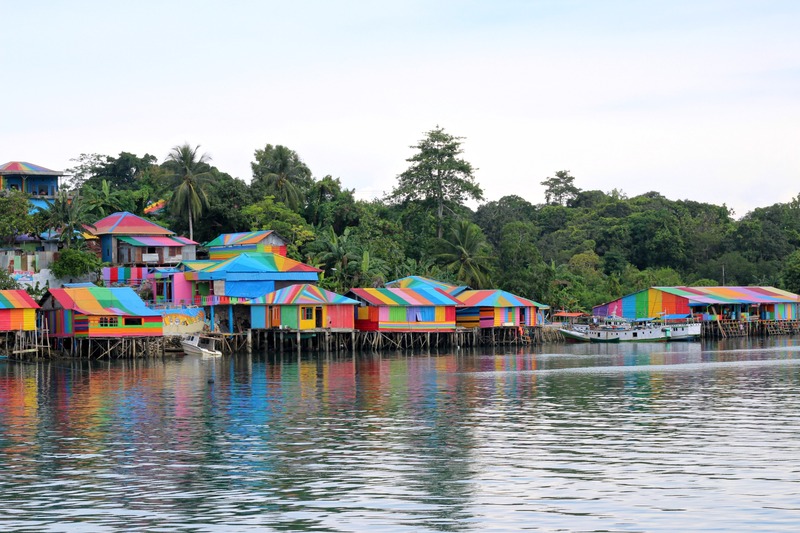 If you ever get to chance to visit The Kei Islands, Rainbow Village has got to be on your bucket list. I am preparing an extensive Kei Islands travel guide which will be posted on the blog soon. I get soo many questions about my travels to The Kei Islands and it will give you information about the best places on where to eat, sleep, explore, go for a swim, and much more. You will be totally on trend with it! "Five Reasons You Need To Visit La Laguna In Bali"